This is new info, right? 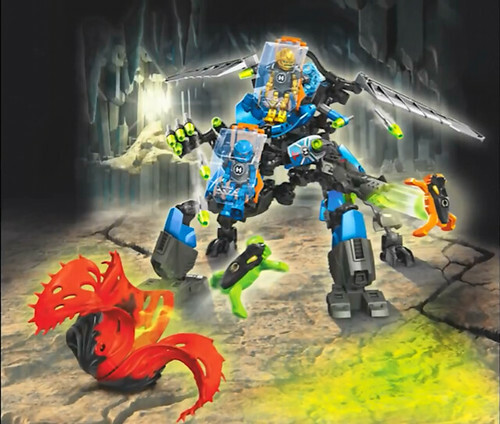 Well, All About Bricks has posted a rumor list for 2014 Hero Factory sets! The blog itself is always right with rumors. I saw it there and thought I'd like to help y'all out with... knowledge! 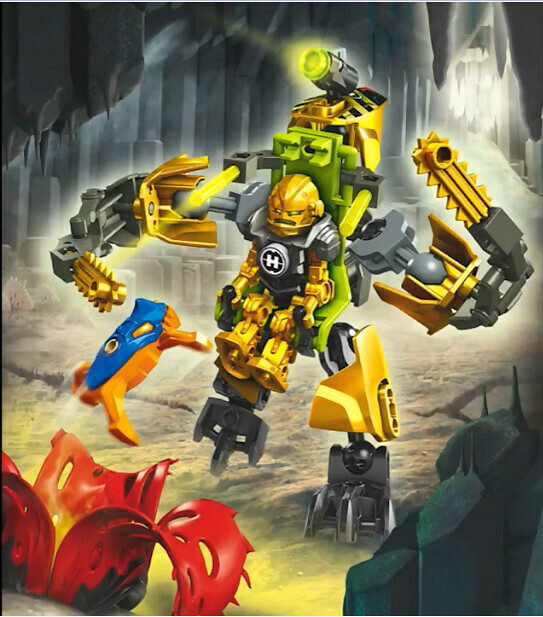 For those who are into this sort of thing, here is a list of what LEGO may have in store for Hero Factory next year with no Super Heroes or Chima figures trying to pull focus. That's good news, right? I'm sorry, I'm not good with this type of (constraction figure) stuff. Umm, I'll get going now! Discuss this list of sets! Some parts of this list sound a little dubious, but at the same time, if it is real it is interesting what the prospects for next year might be. Five heroes, same as the first Breakout wave, but it sounds like they're repeated across multiple sets, which is VERY peculiar... makes me think that either the heroes, on average, will be smaller, or the sets, on average, will be larger. Of course, it could be that the set names for the "Vs." sets are just misleading and those will actually be independent villain sets. Not 100% convinced that this list is authentic, but if it is, it's very intriguing. One part of me thinks this is fake. The other part of me realizes it's September 19th and by this time we usually always have pictures of the winter lineups and have our wallets ready-aka it's about damn time. Anyway, this sounds promising if real. Anyone getting a Hero-Force/Exo-Factory vibe from these names? Certainly sounds like some things we've seen from Exo-force. Anyway, this sound promising if real. Anyone getting a Hero-Force/Exo-Factory vibe from these names? Certainly sounds like some things we've seen from Exo-force. YES! I don't really follow Hero Factory, but these sounded to be very un-Hero Factory just by the names. Seems to be more action packed. Maybe, like Aanchir said, the single hero sets will probably be smaller, but the "VS" sets will probably be much larger. These sound almost like playset names to me. Very strange. 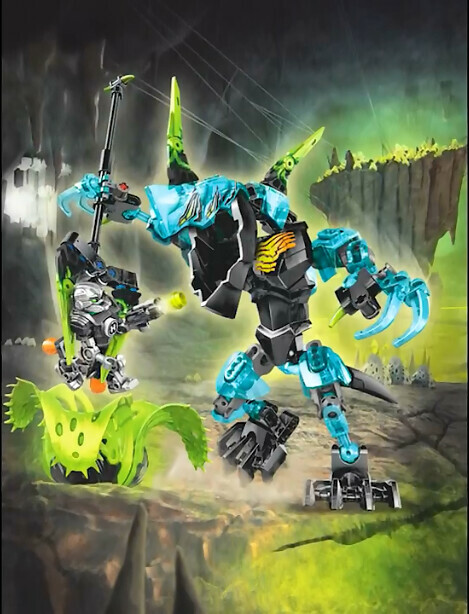 You know, I've been around the BIONICLE/Lego community for quite a long time. Even when lurking, I've witnessed numerous set leaks, both in pictures and names. This is the strangest one I've ever seen. I can't even... I can barely even fathom what this is suggesting. Obviously, the initial implication is that this will be a wave featuring many technic vehicles or machines. However, when you think about this, you'll realize that using the current constraction release structure that's not really plausible. 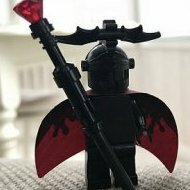 You'll either have to downplay the complexity of the actual heroes in order to allow for technic vehicles, OR raise the price point for all sets. Maybe they're not technic vehicles, though. Maybe they're something else. Playsets are definitely a possibility, but a rather strange one to consider at this point in time. Also puzzling is the fact that there are so many releases of the same characters in this wave. I can't say I'm pleased; quite the contrary, actually. If the sets are good, however, I can't complain. That's all assuming this is a factual list; AAB has been correct too many times for me to dismiss them, though. Three Evo's?! Seriously? 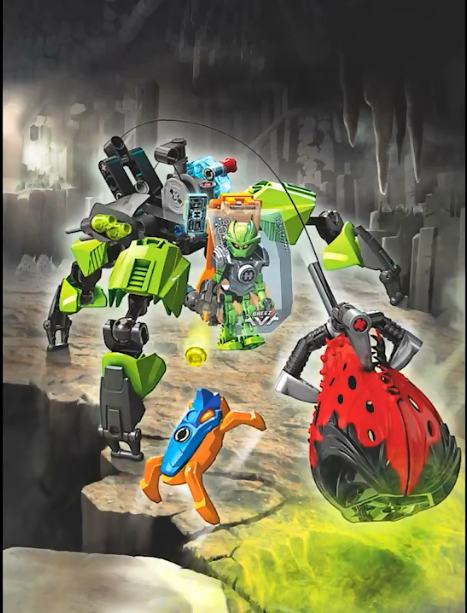 I thought the multiple Rocka rebuys were bad, but this is ridiculous! 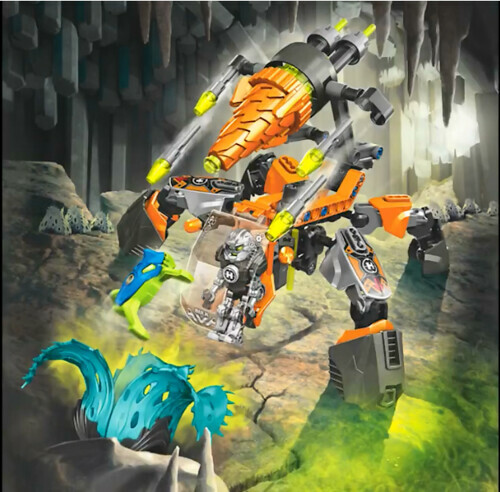 I'd rather have three Evo sets than any more of Rocka. I have to admit it's kind of funny both listening to you and reading your comment simultaneously. Interesting. I kind of like where this is going, but the multiples are just... Eh. No thank you. If it's true, I can guarantee I won't be getting them all. I really don't need multiples, so I'd only get the "vs." sets and whatever else to fill in the gaps. Also, I don't like the whole "beast" thing. I've had my mindless animal fill from Brain Attack. I want sentient villains again. This seems to be a reliable site, but the list sure is odd. I do hope we're getting more vehicles this time around. I've decided to scale back on buying HF anyway and focus on other themes, so I'll only be buying those that are particularly interesting. I do hope we're getting more vehicles this time around. Now that I think of it, those machines sound like Exo-Toa suits for the Brains to me. those list, somehow don't convince me at all. but, oh well, here's my opinion. 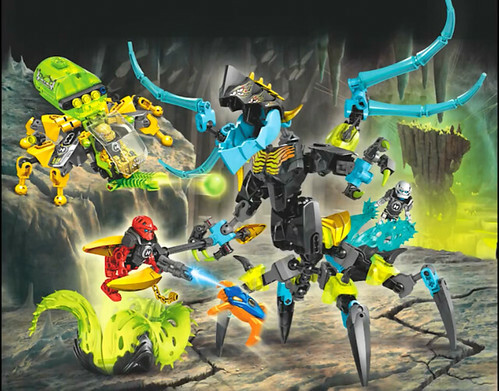 the ones with the VS theme could be a playset, depicting a battle scene with a HF characters minifigure. the one with the machine, i probably agree with takanuinuva. 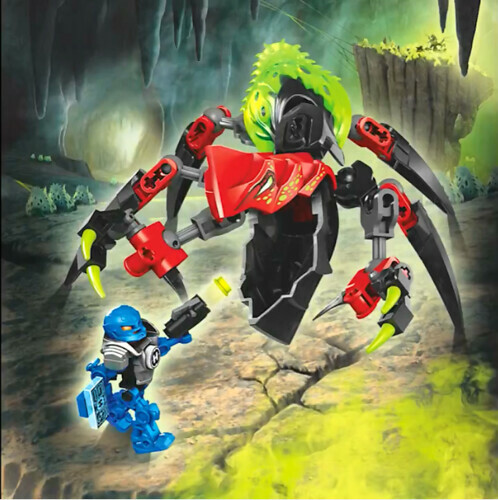 an evil drone created by specific villain made to take down specific heroes, OR, an actual battle machine, controlled by a minifig version of each heroes inside it. the machine itself would be medium sized and (hopefully) made with mainly ball-joint system. I really can't think of the certain theme or even sets here. The machines sound like mechs. And the vs...I don't even know. I really feel these names are just summaries of, let's say what was given or shown in the catalog. But these are for sure very intriguing. What the Otis Spunkmeyer is THIS? special weapons? Two Packs? The prelims are gonna look weird, I know that. MECHS?! VEHICLES?! CONSTRACTION SIZED?! YES!!!!!!! It's the wave I've been wanting to see for some time now, if this is indeed true. Now, bring on the pictures. Going by the list it sounds like these are descriptions of what the set could be. 44015 EVO Walker - ?.. 44019 ROCKA Stealth Machine - stealth???? 44022 EVO XL Machine - why does he get an?? Now that you mention it, they do sound more like descriptions of sets rather than actual names. Is it possible that the set names haven't been decided upon yet, and these are placeholders? Or even that the names weren't written in the catalog, so that whoever looked at it just described the sets he saw, rather than official names? I feel like Aanchir or whoever would probably know whether or not that was a likely scenario. if your second opinion is true, then i'm curious what kind of picture makes them came out with those names. there is also possibility that the one with VS is actually two separate sets, which makes more sense. Anyway, about time, if it's real. Quite possibly one of the weirdest lists ever. The repeated Heroes are weird, no Stringer or Nex makes me sad but..it's interesting, certainly more original than this year (yes, I went there). What if the "vehicle-Hero" sets are... transformers? I don't know how they could pull it off though.